The generation of speed and convenience has had a tremendous impact on most businesses large and small, but among the most affected is the floral industry. Whereas years ago one called a local florist to deliver a hand-selected bouque either to celebrate life’s joys or empathize with its sorrows, now, more and more orders are coming via the Internet. Although Internet orders may be convenient, as far as fresh flowers go, impersonal online orders can come at a cost. Inherently, with selective buying comes a more unique arrangement, as well as longer-lasting flowers. Of course, fresh flowers are always lovely, but tend to lose their special impact when everyone in the office has the same arrangement, and it wilts within days. 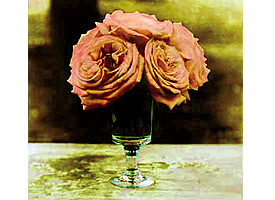 Speaking with a florist directly can help tailor a bouquet more specifically to a person’s taste or a special occasion. Christianson has received many telephone calls from happy recipients thanking her shop for the lovely work it has done. Nedved’s supplies flowers for any occasion, including weddings, funerals, and corporate events. It also sells blooming plants, chocolates, balloons, and other gifts. The shop delivers metrowide as well as nationwide. If you’re not flower-savvy, Christianson suggests simply setting a price range, describing the recipient’s taste or occasion, and leaving the rest up to the designer, as that approach can result in absolutely stunning arrangements. Nedved’s Web site at www.nedvedsflowers.com is a useful tool to browse what kinds of arrangements and plants are available, or call (651) 690-5474.